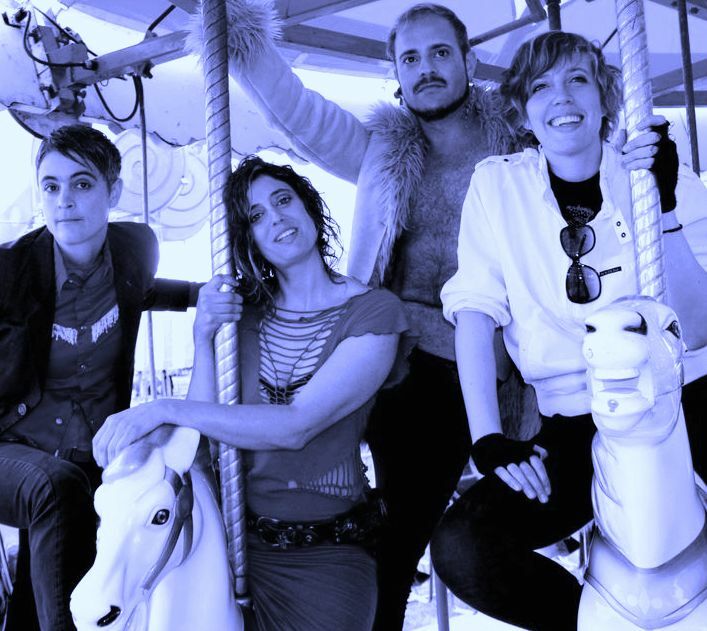 Excuses For Skipping is a post-punk quartet from San Francisco, California. Linda Moody's soaring vocals play out against her own distinct style of sheet metal and bike frame percussion and rhythm guitar riffs. Tammy Fortin's lead guitar stabs and cinematic noise interwoven against Wendy Brents' heavy bass melodies and Robert Ryan's madman drumming create a compelling texture that commands the room with the first note. Excuses for Skipping’s high energy, live performance has generated a loyal following both locally and internationally, as they are known for an intense live show that is both unpredictable and inspired. Currently, Excuses For Skipping is recording their third album at Wild Turkey Recording Studios in the woods of Sonoma County with co-producers, John Hopen and Patrick Ballard.